Maslow's Hierarchy of Needs and Project Management - How Do They Relate? Maslow’s Hierarchy of Needs and Project Management – How Do They Relate? For any project to be successful, all its needs have to be met. If they are met simultaneously, the project has a very high chance of going to the final stage of completion and achieving the business objectives that were set up at its initialization. 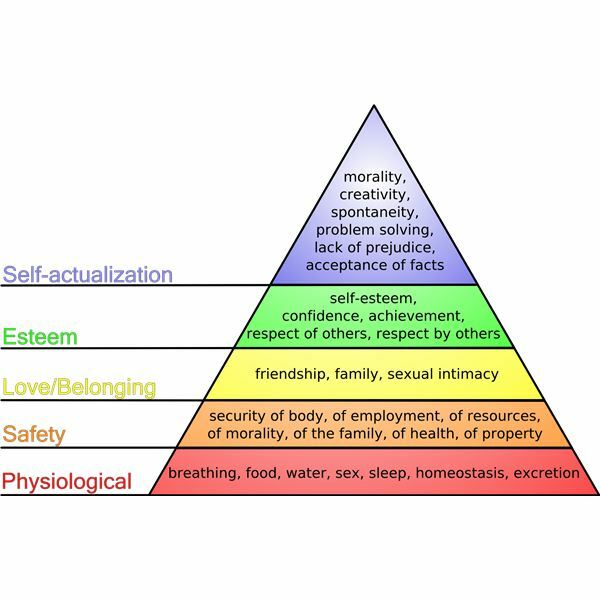 Abraham Maslow developed a model of physiological needs and a certain hierarchy that governs all human behavior and motivation. This same hierarchy can be used in the context of projects and their management. Project management involves people and their needs. A project management process that meets all of the needs of related parties is far more likely to succeed. Unmet needs can affect the progress of a project, and tackling these needs in the correct hierarchy will greatly help the chances of meeting the desired targets. So how does one apply the thinking behind this hierarchy to help a project? The correct way is to tackle the needs from the bottom upwards and attend to each need. All projects need to be allotted certain resources to work toward the project completion. Resources can be in the form of materials, money or manpower. Every one of these needs have to be met to the optimal level for the members of any project team to feel that they have the right motivation to take the project further. If even one of these needs is in short supply, it is quite likely that the project team will concentrate on trying to resolve that particular problem instead of the real job at hand. Once a project organization is formed, with its needs and resources allocated, the project team needs to be sure that none of these resources, whether in terms of equipment, manpower, or any other need, will remain with it. This then allows the project team to concentrate on the tasks ahead for the project completion. If any of the resources are threatened, the attention of the team will be concentrated on making up this resource. Any project has to further the objectives of the business and must have a definite business purpose that is apparent to all the members of the team. If at any stage the team feels that it is working toward a goal that is at cross purposes with the main objectives of the business, they will feel alienated from the rest of the enterprise; this can affect morale and make team members feel like outsiders. People within the organization may feel this also and therefore not extend cooperation to the project team. This, in turn, could affect performance. In any project, a constant appraisal of the performance of the team members is a must. These appraisals must be communicated with the team and appreciation given to the people who are working toward success, even if this is only in the form of commendations. This leads to the project team remaining constantly motivated to produce better results. This is one of the key components of Maslow's theory–that people will rise to the level of achievement expected of them as the other needs on the pyramid are met. .
Once all the needs of the project are met and resources, stability, business purpose and esteem are all in place, the project team can then work toward the delivery and completion of the project – the real, ultimate goal.